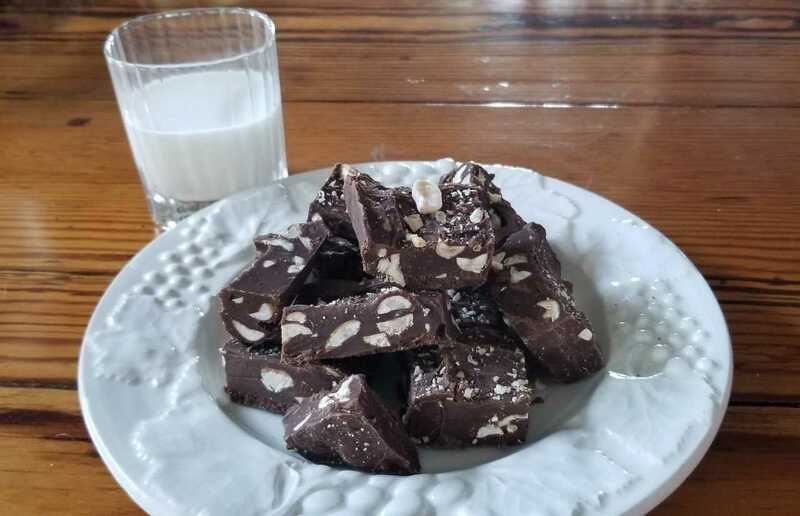 Simple, delicious and easy, our peanut fudge recipe will take you back to your days of playing outside and sneaking bites of candy in no time. With the added deliciousness of salted peanuts, you and the little ones in your life will be devouring this fudge faster than you can make it! Place chocolate chips and condensed milk in a bowl and combine. Heat on low for 5 minutes stirring constantly until chocolate is smooth. Fold in vanilla, cocoa powder and salted peanuts until combined. Pour chocolate mixture into the pan and refrigerate for at least two hours.